Take some time to understand how the dollar affects the economy. Americans generally don’t like the word “weak” attached to anything we do. We are much more comfortable with the word "strong." However, at various times in our country's history, both of those words could have been used to describe the U.S. dollar in relation to other currencies. So how do we interpret what the strength - or weakness - of the U.S. dollar may mean for investors? When the dollar is weak against the currencies of other nations, it means their imported goods and services cost more and our exported goods and services go for less. The opposite is true when our dollar is strong. But let's take a deeper dive into how the health of the dollar effects investors. Let's start with a scenario where the dollar is weak. You can see this as a problem or an opportunity depending on your point of view. The U.S. has a huge trade deficit - we import much more than we export. This trade deficit means we send a large amount of capital overseas, in addition to jobs. Theoretically, a weaker dollar means our exports become more competitive and this could spur increased production domestically. That may be good news for some U.S. manufacturers, especially those threatened by foreign competitors. However, it they rely on foreign parts or materials, they will have to pay more as the dollar continues its fall. American consumers would also see some of their favorite products rise in price as imports reflect the devalued dollar used to buy them. 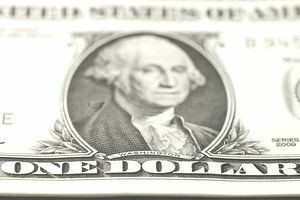 Foreign governments would in all likelihood try to slow the fall of the dollar by investing heavily in U.S. Treasury notes. Those efforts may slow the decline, but chances are, they would not stop it. What Would A Proactive Investor Do? In a weak dollar environment, nobody knows how long, how far, or how fast the dollar would fall, so preparing an exact investment strategy is difficult. Investing in companies that have significant overseas sales operations that can take advantage of the currency valuation differences. Domestic manufacturers might become more competitive. The falling dollar would not bring back the industrial economy, but it could push some marginally profitable companies into the black again. If you were holding a handful of low-interest bonds, you would want to come up with a game plan that envisions rising interest rates. How would you adjust? If you were really concerned about the future of the economy and the market, you might look to gold. Gold has historically been the refuge during time of economic upheaval, but it's value has also dropped dramatically in different circumstances, so only a small part of your holdings might be put in gold. In a scenario where the the U.S. dollar was strong, all of the points made above would be reversed. It is not uncommon for investors to ignore the state of the dollar, thinking that it is not relevant to their investing. But understanding it's strength or weakness - from a historical standpoint - can help give you an edge.